Ok, a mousepad is not that an expensive thing to ave money on, right? Well, it is not about money. It is about creativity! 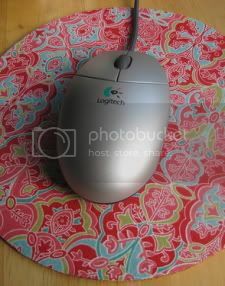 For this neat "girlish" mousepad you will need a piece of cork, double-sided fusible web and some colorful fabric.